Tailored outplacement and redundancy support services specifically to the SME market. Outplacement and career transition processes can be tough for a business and its staff, including its senior team. Whether your business is an SME or a corporate enterprise, that process can take a huge toll. Outplaced is a partnership that takes the pain out of your processes, with proven professional support services since 1989. Just a brief note to offer you my grateful thanks for your significant contribute over the past 3 months. The feedback we have received about your seminars has been very positive and I know that all those who attended your sessions felt they were provided with excellent advice and guidance. I would, in particular, like to thank you for your flexibility in responding to our changing requirements - it is very much appreciated. Once again, very many thanks - the redundancy process has, so far, proceeded without too many glitches and this is due in no small way to your contribution. I know that there are many or our (now) ex-employees who feel far more confident about entering the world of work outside Hall & Woodhouse than they did 3 months ago! I have been meaning to write and thank you for the outplacement you have provided over the last 6 months period. 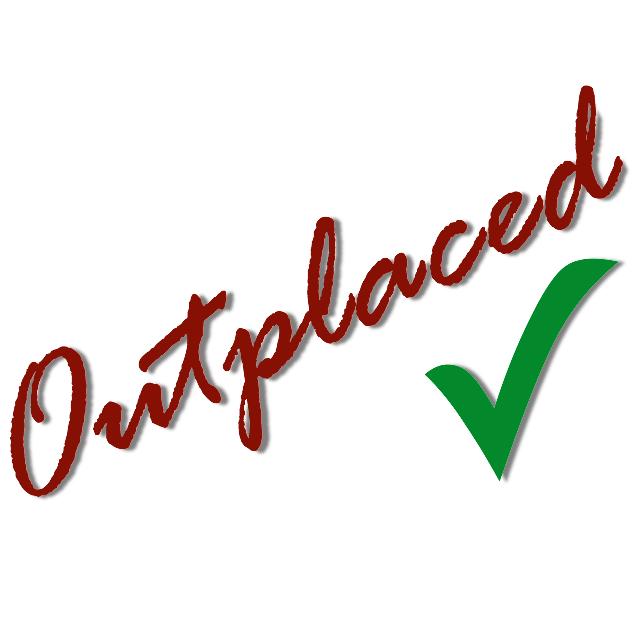 As this was the first time I had used an outplacement agency I was very impressed with the level of service received from Outplaced. Downsizing is never the best of circumstances to be involved in; however, I felt you managed quite successfully to turn it into a positive experience for the staff involved. From each of the courses, I received nothing but praise for the professional manner in which they were delivered. Your drive and enthusiasm certainly gave the staff the push they needed and I can say that all those who were involved have gained alternative employment. As an organisation, we would certainly recommend Outplaced as you managed to make the whole process less painful. Thought the tips on CV writing were great / Everything discussed was what I wanted to know / Seminar couldn't have been improved, really good. We invited Outplaced to assist a Director of the company who was being made redundant after some twenty years of loyal service. Outplaced were charged with constructing a CV and because of their total commitment to excellence, they carried out such a splendid and thorough job which resulted in Outplaced re-kindling a previous passion within this Director thereby inspiring a renewed self belief and the motivation to embark on a completely new career which has given him a totally new lease of life which he finds rewarding and fulfilling. Outplaced excelled and delivered very much in excess of their promise. We have no hesitation in recommending Outplaced to all of our clients. Your approach has always been totally professional, and your consultant at Outplaced has a wealth of experience which he draws on both to provide effective client solutions and to bring ideas and creative approaches to the table. I have also introduced him to new clients, where he has developed strong relationships and generated high satisfaction levels. I was implementing an internal flexible benefits package when I worked closest with Peter Wilford. Although his primary focus was, of course, his clients, he provided me with extensive and valuable advice and input whenever requested. This continued throughout our time working together. As a courteous and professional team player, he’s one of the best. I worked with Peter Wilford at Trafalgar House and found him to be passionate about learning and development and able to carry people along with his enthusiasm and energy. He is an excellent communicator and motivator, and very persuasive in preparing and presenting the business case for investment. Very highly recommended. I’d happily recommend Peter. He provides a very diligent and professional service for us with the highest personal integrity at all times. Outplaced Copyright © 2015-2017. All Rights Reserved.